Cecil Hatherton Pressey Granger (Service no. 24/160) enlisted for the First World War with a Peterborough Street address. Cecil was born on February 20th 1884 at the school-house at Barry’s Bay, BanksPeninsula to Leonara (Linn) and Pressey Edward Granger. His brother Roydon was born in 1885 and his sister Madge Emily in 1890. Both his parents were English born, Leonara from Cheshire and Pressey from Tottenham, Middlesex. Cecil’s father Pressey was principal at Barry’s Bay School, although there seems to have been some controversy over whether he had a valid teacher’s certificate. He later set up a commercial grammar school in Akaroa but was declared bankrupt in 1888. Pressey also faced accusations of larceny or theft of personal property and funds in 1886. He later left New Zealand, and his family, for a new life in the Blue Mountains where despite his “superior education” further minor entanglements with the law ensued. He died at Leura in 1938. The Granger family seem to have moved around frequently and Cecil attended several schools. He was at Courtney School (Waimakariri) in 1889 and Central New Brighton School in 1895. Cecil’s name is included on the New Brighton Roll of Honour for ex-pupils who served in the First World War. Cecil was a keen athlete and was involved in hockey, soccer, athletics and cycling. He played football for the Linwood Club and was included in their honour roll. Cecil married Mary Agnes Corcoran on the 17th of December 1913 in Christchurch. Although Cecil was Church of England, Mary was a devout Roman Catholic and the service was conducted by Father Price. Cecil worked as a clerk and agent for a variety of different companies and on enlistment in May 1915 he was employed by the Christchurch Meal Company and was living with Mary at 136 Peterborough Street. Cecil was one of 240 men who were farewelled from the King Edward Barracks in Christchurch on the evening of the 28th of May 1915. 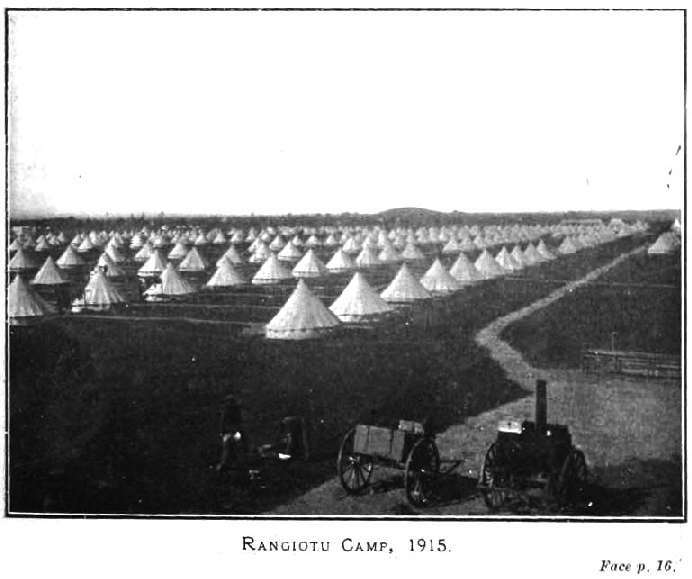 Thousands of well-wishers gathered to listen to the Regimental and Highland Pipe bands and speeches from the Christchurch mayor and other dignitaries before giving a rousing “three cheers for the men” and “God save the King” as the departing recruits left by train for Trentham Camp in Upper Hutt. Cecil signed his attestation form on 29th of May 1915 at Trentham before undertaking basic training, first at Trentham and later at Rangiotu Camp near Palmerston North. Cecil was initially enlisted with C Company of the 2nd Battalion Trentham Regiment before transferring to A Company. In October 1915 the Trentham Regiment was re-titled The New Zealand Rifle Brigade (the Earl of Liverpool’s Own) and later gained the nickname “The Dinks” a shortened version of “Dinkum”. Cecil’s training was interrupted in June when he contracted measles, spending just over two weeks in hospital before rejoining his unit on the 12th of July. Cecil’s first taste of overseas service came in October 1915 with his departure for Egypt. The 2nd Battalion arrived on the 18th of November and were warned to be ready for imminent transfer with the Western Frontier Force to France. In fact, after a brief stint at Ismailia camp, Cedric left for France in April 1916. Cedric was seconded to the Battalion bombing section in October 1916 and also promoted to Lance Corporal in the same month. The promotions kept on coming, Corporal in January 1917 and Sergeant in October 1917. Cecil became ill in February 1918 with “Trench fever”, a moderately severe disease transferred by body lice and with a variety of symptoms including headaches, high fever, muscle pain and hyper-sensitivity in the shins. He was admitted to the 2ndLondon General Hospital in March and then moved to Hornchurch hospital in Essex for convalescence. He stayed at Hornchurch for over 6 months before leaving on the 24th December 1918 from Plymouth for New Zealand on the troopship Briton. Briton carried some 1165 troops, the majority of which were South Island bound (404 for Canterbury) and arrived home on the 29th of January 1919. Sergeant Granger was reunited with Mary Agnes after 3 years and 113 days on overseas service and finally discharged from the army on 19th of March 1919. He received the 1914-1915 Star, the British war Medal and the Victory Medal. After the war, Cecil briefly tried his hand at farming at Waitoitoi in the Waikatobut eventually settled in New Plymouth and worked as a commercial traveller. Their only child Yvonne Doreen Mary was born on 19th of November 1920. With the advent of the Second World War, Cecil was again called upon for service. He served as a Sergeant in the Home Guard from 14th of January 1942 until 23rd of April 1944 and spent time in Dannevirke and at Linton Camp in Palmerston North. In January 1944 Cecil’s daughter Yvonne married Richard Snushall in an unusual double wedding ceremony. Yvonne acted as bridesmaid for her best-friend Valerie’s morning wedding ceremony and in the afternoon of the same day Valerie acted as matron-of-honour at Yvonne’s afternoon ceremony. Sadly Mary Agnes died the next year in September aged only 60. Cecil died of a heart attack in November 1950 aged 66. He is buried in the Roman Catholic block at Te Henui cemetery in New Plymouth close to Mary Agnes. Their daughter Yvonne died in 2003. Online Cenotaph record for Cecil Granger. Auckland War Memorial Museum. Military Personnel file for Cecil Granger. Archives New Zealand (Archway).